Trespassing in Seattle is a crime that could have an adverse effect on your life, if convicted. 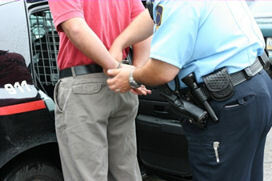 In Seattle, if a person knowingly and unlawfully enters or remains on a premises belonging to someone else they could be arrested for criminal trespassing. While trespassing in Seattle is usually committed inside of a building, it can also apply to construction sites, empty lots, or even a place of residence. While many instances of trespassing can be chalked up to a simple misunderstanding, these are not charges that should be taken lightly. Indeed, there are cases where a person charged with trespassing in Seattle forgot their identification, or simply did not know that they were on private property. Still, this needs to be proven to the court and the prosecutor, so it’s a good idea to talk to one of our qualified Seattle trespassing lawyers about the nature of your charges. In some parts of Seattle there have been recent crackdowns on criminal trespassing, especially in places where teenagers and the homeless might loiter, like parking lots adjacent to stores. In these cases it is especially important to talk with experienced Seattle trespassing attorneys, because the accused might have been unfairly targeted. If you are convicted of a Seattle trespassing crime you could be charged with a misdemeanor or a gross misdemeanor, depending on the circumstances of the arrest. A gross misdemeanor conviction for trespassing could result in up to a year in jail and fines totaling $5,000. Worse, a Seattle trespassing conviction will incur a criminal record, which could haunt you for many years. Jason S. Newcombe is a Seattle litigator who will aggressively fight to have your criminal trespassing charges eliminated or reduced. Our team of Seattle trespassing lawyers urge you to contact us before talking to the authorities, to ensure that your rights are fully protected. Why is retaining a qualified Seattle legal representative in your best interests? Because to defend yourself against trespassing charges, you need to make sure that your defense is based on Seattle law – even if you feel like you were unfairly charged. Our Seattle trespassing lawyers will help you navigate the complex waters of the state’s legal system, making the trial process easier and working to resolve your case in the most efficient way possible. In many cases involving criminal trespassing there was simply a misunderstanding between the property owner and the person who is accused, or a common case of mistaken identity. Our legal professionals have the experience needed to know where to look in each case, so that the best defense for Seattle trespassing charges can be discovered. Contact our office today and prevent a Seattle trespassing charge from adversely affecting your future.